We know how stressful it can be if you you have been involved in a car accident or have broken down away from home so we offer an efficient and reliable vehicle and car breakdown recovery service. Our car breakdown recovery service operates from our premises in Wem, Shrewsbury Shropshire where we are ideally situated for car recovery throughout Shropshire and The Midlands. We can recover and transport cars, vans, quadricycles, 3 wheel vehicles and motorbikes and bring you home safely. Our tilt and slide recovery vehicle gives us the means to recover mechanical breakdowns or accident damaged vehicles on a safe and secure form of transport. 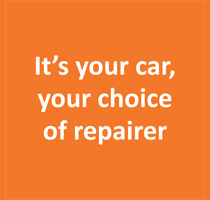 If you have your vehicle’s repair work undertaken by us then we will supply and deliver a courtesy car free of charge. Call us on 01939 233243 for your emergency needs. Hanmer Auto Services – Breakdown recovery services in Wem Shrewsbury Shropshire.